Favourite Brisbane suburb to visit? I live in the Northern Suburbs, which I have to admit is a little boring. 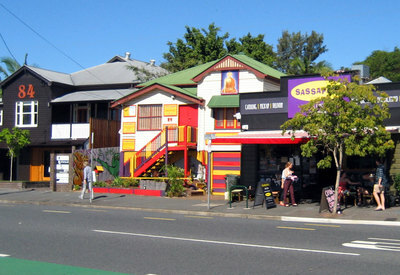 I have a soft spot for Sandgate but often go to out closer to the city, especially South Bank and West End. 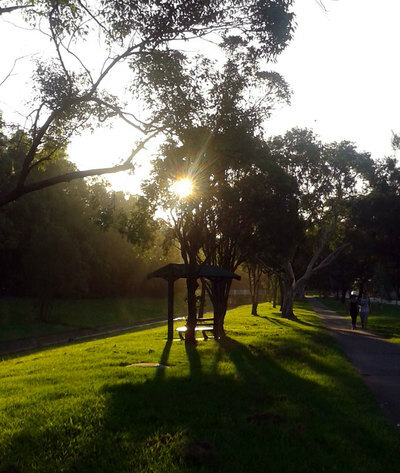 For sport and recreation I often head out to the parks and bike paths around Chermside. Do you have a suburb that you often visit or would recommend? Definitely recommend a visit to New Farm - ride the Citycat, walk in the park, smell the roses, and chill out in a trendy cafe. There are some classic old "Queenslander" homes if you just wander around the side streets and take the time to explore one of Brisbane's original riverside suburbs. My friend came to Brisbane to visit and specifically wanted to go to New Farm Park to see the roses, but at that time of the year there were few. It is still one of my favourite parks. Best Meat Pie in Brisbane? Where to go Latin dancing in Brisbane? Favourite historical site in Brisbane? Best places to visit on a day trip to Brisbane? Hottest new restaurant in Brisbane? Best live music venues in Brisbane?